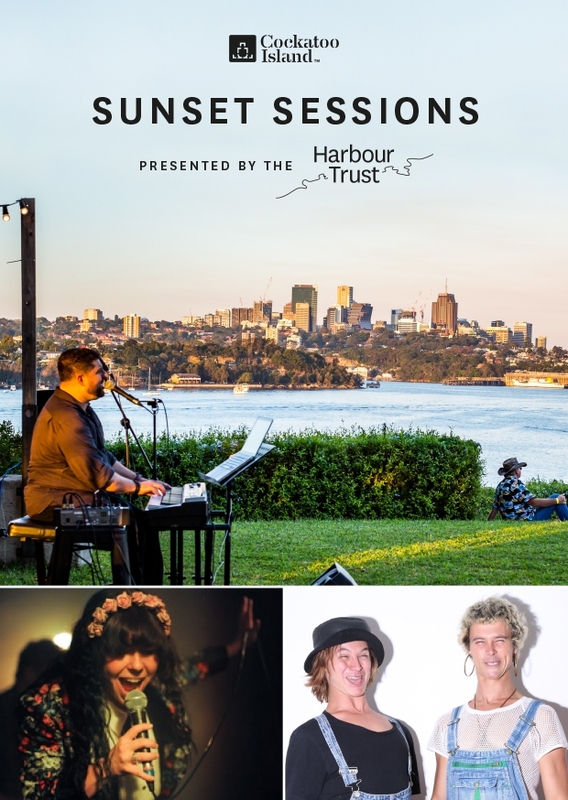 Join us at sunset on Cockatoo Island for some of Sydney’s best home-grown music. Relax as a selection of Australia’s top underground artists share their stories of life, love, loss and laughs through intimate songs and story-telling. A rare live show! Jess Pollard the voice behind viral hit 'Somebody Like Me' curates a set of her favourite songs with long-time friend and collaborator Roy Issac. From Fleetwood Mac to Lianne La Havis they'll be sharing some of the songs that shaped their lives and music making. Jess has sung and toured with artists including Rufus, Timmy Trumpet, The Jungle Giants and The Kooks. She has also played in major Australian festivals including The Big Day Out, Falls Festival and Listen Out. This is a rare intimate concert. Stacey Brothers music tethers self-indulgent-white boy privilege guilt, with down home universal-empathetic-interconnectedness. Forever grooving to the ‘Oneness Philosophy’, and staying true to the teachings of the rainbow serpent; ‘Funk is Blind.’ The Stacey Bros levitate across the fine line of cultural appropriation with the reassuring notion that we’re all made of the same thing; I’ve got a thing, you’ve got a thing, everybody’s got a thing... And nobody needs permission to groove.